Happy Halloween everybody! For more WTF costumes, check out Poorly Dressed! A lot of people love the X-Files, especially now that it's back on TV. Now someone has recreated Dana Scully in miniature for the fans that just can't get enough. She's relentlessly working cases, pausing only to take an occasional selfie and add a filter. The truth is out there, and you just might find it in your Instagram feed. Justin Bieber has been posting creepy throwback photos of his ex on Instagram. In some ways, he's just like everyone else! This "crazy throwback" just happened to pop up right after Selena Gomez was spotted kissing her new squeeze Niall Horan. What a coincidence! At least he can joke about his inabililty to find a lady. He just wants somebody to love. At this rate, he'll have to start hitting on fans.... oh, wait. 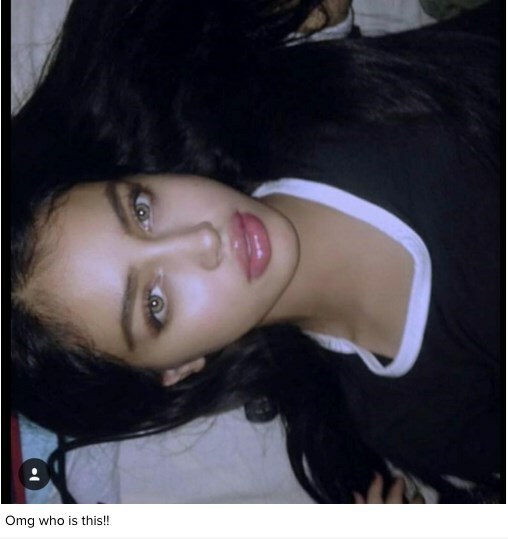 He posted this random picture he found of a pretty woman and asked fans to identify her. He's in luck, she was identified as @cindywolfiereal and it seems like she's a Belieber! Maybe he's just going back to his roots by trying to use the internet to discover a girlfriend the way he was discovered on Youtube way back when. From Thong Song to This? Facebook just announced its purchase of Instagram, the ever-popular sepia-toned image-sharing service. This is just another blow to hipsters everywhere, as last week the app made its way to Android phones. No word yet how this deal will change its use via Facebook, but be prepared to have desaturized pictures of cheap food clogging up your news feed very soon. Forget 911, take a pic for Facebook! What Were the Lyrics to That Song by Cake Again? Indeed, M'Lady, Your Phrasing is Impeccable! This Ms. "Kardashian" does appear to be a hussy of the highest degree. Indubitably!